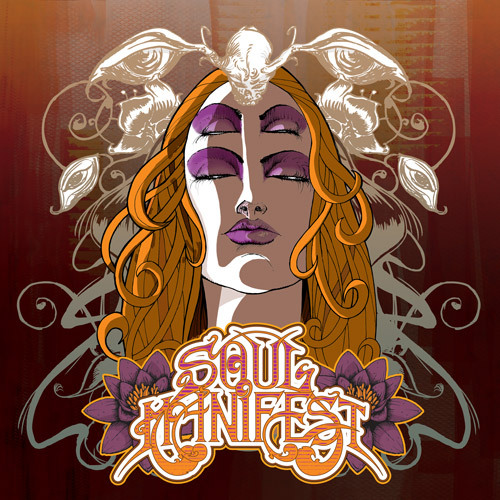 Soul Manifest is a trio of guys named Soul, Stodguy, and OscArt from France. They have created a fantastic piece of psychedelic and progressive rock. The album seems to go by quickly totaling around 40 minutes. The quality of the tunes is outstanding. Soul Manifest is definitely a “Jam” band, but does not let the jammin’ get out of control and redundant. SM keep your attention ever present right to the end of the ten minute finale “The Light”. Oh and how could I forget the artwork?! This is truly fitting for the music within this album. I think all will appreciate it. Again, this album seems to go by so very quickly. There are seven tracks. White Season begins with Dead Man followed up by White Season Part 1. White Season Part 1 has a great drum intro that flows into a heavy riff. One thing that caught me off guard was the vocals. They are not what I was expecting when I first tuned in, but they add so much depth to SM! My personal favorite track is Devil’s Meeting. Devil’s Meetings has a very ominous introduction with bell’s tolling and a killer keyboard solo, very fitting. This leads right into a very bluesy riff that your feet can’t help but tap. Next you will find White Season Part 2, which is very beautiful and a completely opposite sound of Part 1. The grand finale brings The Light, very spacey psychedelic beginning with a submersing smooth guitar lick. Add great female vocals and ten minute run time, SM brings an excellent outro to White Season. With that all said, I cannot sum it up better than Soul. Soul states this, “All the pressure felt to the everyday life is gathered here and transformed into vital energy, as the hope ensuing from the chaos… You’re curious?! Join us…” I think I will, and I’ll definitely keep up to date with what Soul Manifest does in the future. Coming to the USA anytime soon SM?